Pours a cloudy marmalade with decent head and lacing. I get malts and dried apricot I think. Smells quite musty. Lovely floral taste. I get lemons and hops with a sort of “mature garden” feel. Which is probably the oddest thing I’ve ever said about a beer. This is a cracking beer. I like it, a lot. 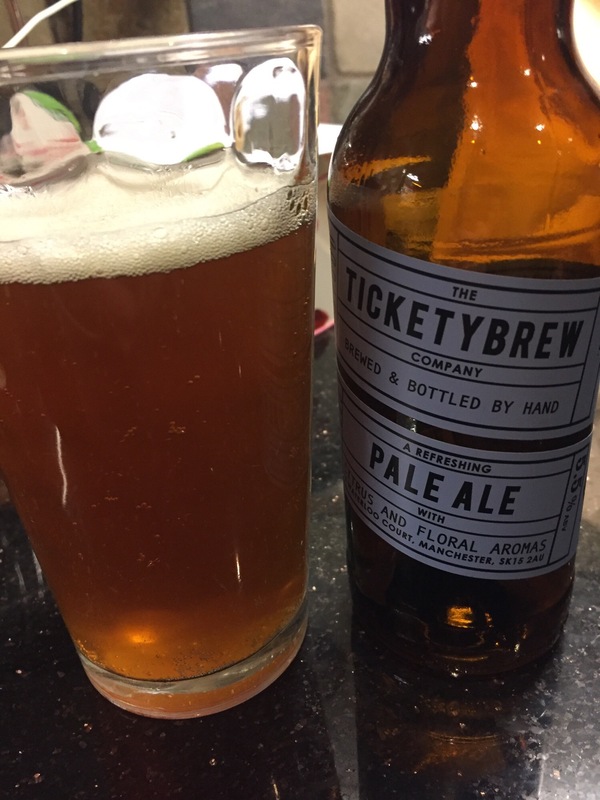 This entry was posted in beers and tagged pale ale, ticketybrew. Bookmark the permalink.